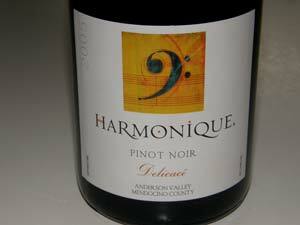 Harmonique Partners Bruce Conzelman and winemaker Robert Klindt (former owner of Claudia Springs Winery) produce three Pinot Noirs from Anderson Valley Vineyards. 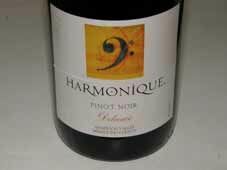 The grapes are sourced from the former Christine Woods Vineyard (now Conzelman Vineyard) across the street from Handley Cellars where the Harmonique wines are produced, and the Klindt Vineyard. 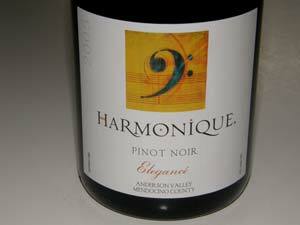 The Pinot Noirs have been exceptional and have made my All-American list several times. 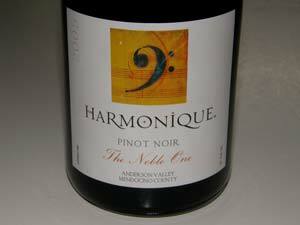 The Pinot Noirs are named The Noble One, Delicacé and Elegancé. Bruce's affable wife Moira handles all of the marketing for the winery. 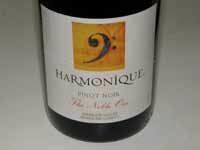 The wines are sold primarily through a mailing list. 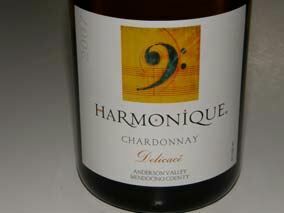 The Harmonique Tasting Room is in the former Londer Tasting room in Boonville in the John Hanes Fine Art Gallery at 14051 Highway 128 (Friday to Monday 11-5).